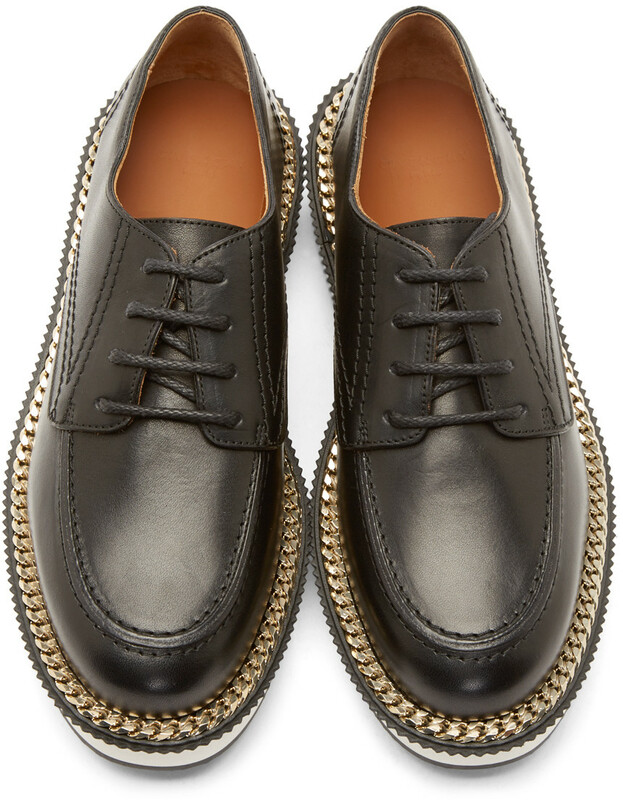 Buffed leather derby in black. Round toe. Piercing-inspired accent hardware is vamp at and heel in silver-tone. Tonal lacing. Textile pull-tab at heel. Accent nails at welt. Foam rubber midsole. Rubber sole. Tonal stitching. Upper: leather. Sole: rubber. Made in Italy. 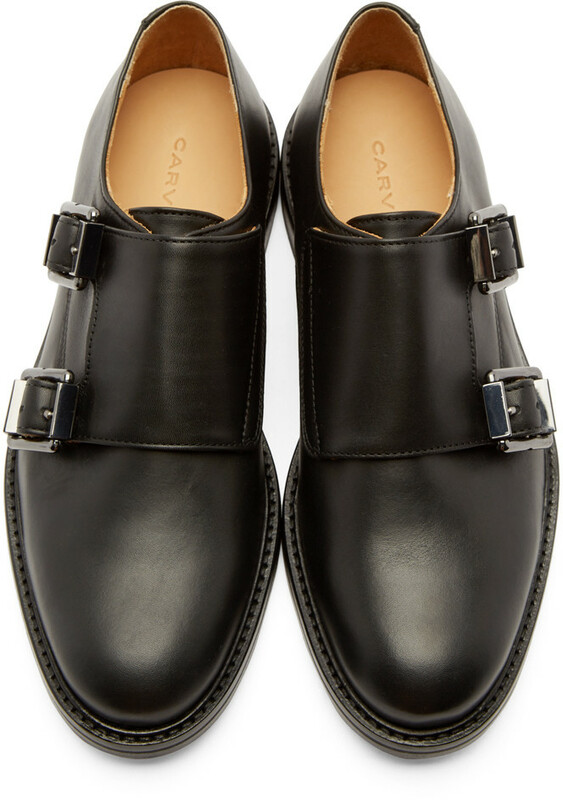 MIDNIGHT SHOES SHOPPING - Browse browse browse and I am giving you some of hot sales in shoe department from Canada based Online Retailer SSENSE; 3 Derbys, 1 Monk Strap, & 1 Slip-On Sneakers that I believe worth every pennie!!! 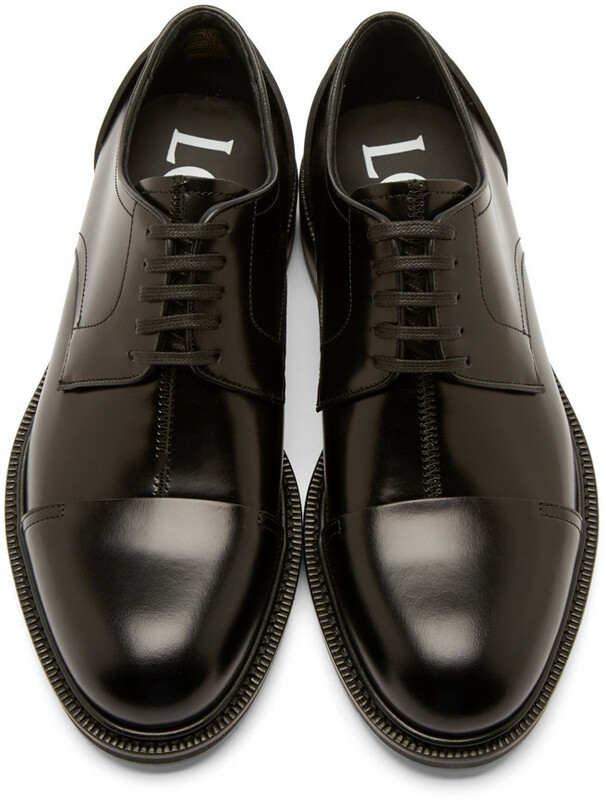 Buffed leather derbys in black. Tonal leather panelling at round cap toe and heel counter. Tonal lacing. Stacked leather heel and sole. Tonal stitching. Upper: leather. Sole: leather. Made in Italy. 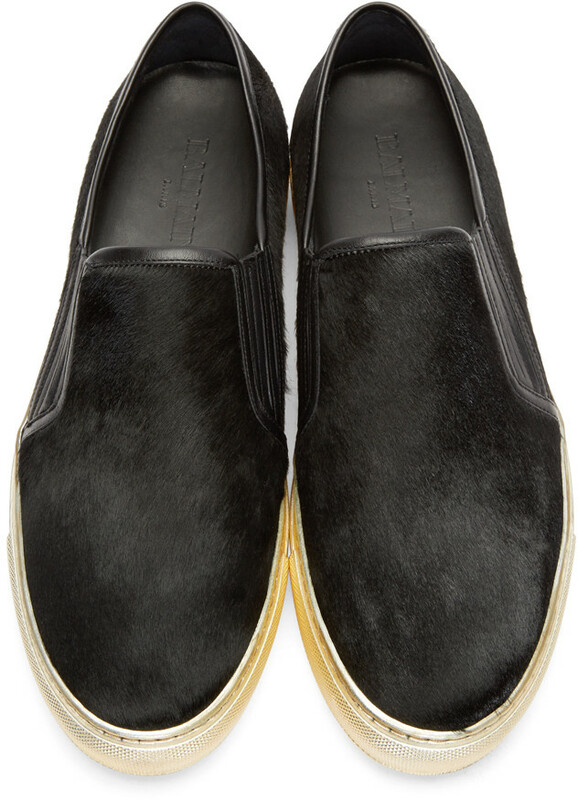 Brushed leather loafers in black. Adjustable monk straps closure with double pin-buckle fastening in gunmetal-tone. Stacked leather heel and sole. Tonal stitching. Leather. Made in Portugal. 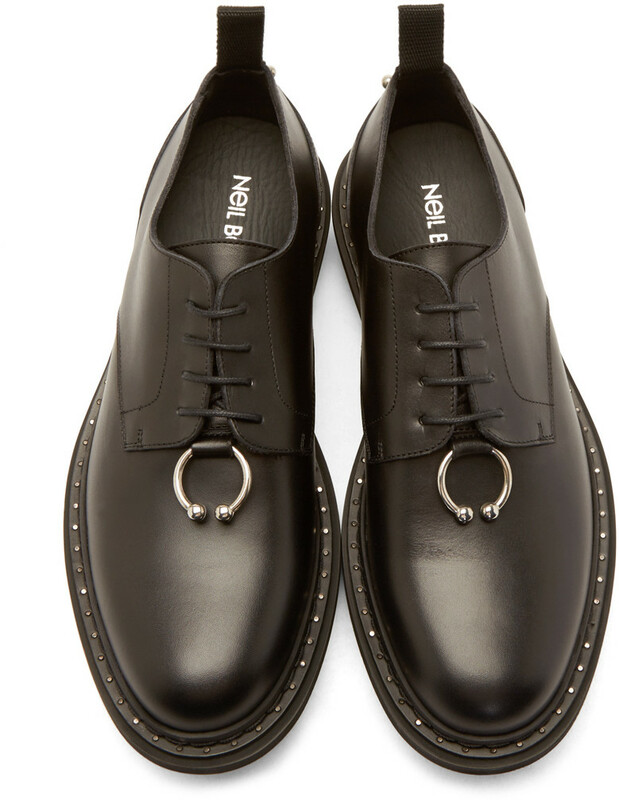 Buffed leather derbys in black. Moc toe. Tonal lacing. Chain trim in silver-tone at welt with scalloped trim in black. Foam rubber platform in white. Black rubber sole. Tonal stitching. Approx. 1.75" platform. Upper: leather. Sole: rubber. Made in Italy. Slip-on calf-hair sneakers in black. Round toe. Leather trim concealing elasticized gusset at sides. Rubber sole in gold-tone. Tonal stitching. Please note this item can only be shipped within Canada. Upper: leather, calf-hair. Sole: rubber. Made in Italy.